Lighthousing.net • View topic - Harbour Lights Introduces Cape Charles & Price's Creek!! The first of the new releases will be HL324, Cape Charles, Virginia, and HL325 Price's Creek, North Carolina, both due out in June. Price's Creek is depicted "as it stood in pristine condition". Also being introduced is HL's latest lens, Point Vincente's third order bi-valve which is still an active aid to navigation. 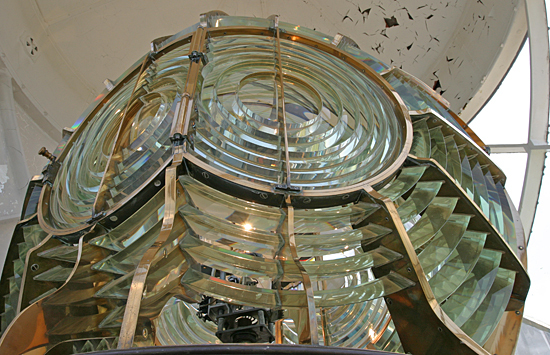 Harbour Lights says it will be their "most intricate lens replica to date". It's scheduled date is September. By any chance, does someone have a photo of this lens? It's the second one on the left. Now we know what to expect, and why it will be HL's most elaborate to date.